The February 8th 2018 USDA WASDE projections for the 2019 corn and soybean harvests are based on historical yield and harvest data. The corn acreage to be harvested was determined from planting intentions to be 81.7 million acres (81.8 million in 2018). In 2019 soybeans will be harvested from 88.1 million acres (88.3 million acres in 2018). The February USDA projection of ending stock for corn was reduced by 2.6 percent to 1,735 million bushels. Ending stock for soybeans will be 4.7 percent lower at 910 million bushels with minimal effect on CME price quotations subsequent to the noon release of the February WASDE. It is emphasized that projections are based on the presumption of at least a partial settlement of the trade dispute with China with restoration of exports to that Nation. The projection of the corn harvest for 2019 was established in the WASDE Report to attain 14,420 million bushels consistent with current planting intentions. The projection for 2019 can be compared to the 2018 harvest of 14,420 million bushels and is down 4.8 percent from the 2016 record harvest of 15,148 million bushels. The "Ethanol and Byproducts" category was raised 25 million bushels to 5,575 m. bushels but exports were retained at 2,450 million bushels. The "Feed and Residual" category was downgraded to 5,375 million bushels. Ending stocks will decrease 2.6 percent to 1,735 m. bushels. The projected USDA range in farm price was narrowed with retention of the midpoint to a range to 335 to 385 cents per bushel. At close of trading on February 8th CME quotations for March 2019 and May 2019 corn were 374 cents and 382 cents per bushel respectively, both within 1 cent per bushel of the trade levels on December 11th. USDA projected the 2019 soybean harvest to be 4,544 million bushels based on a yield of 51.6 bushels per acre. Use parameters were essentially unchanged from the December 2018 WASDE Report with crushings at 2,090 m. tons. Projected exports were lowered 1.3 percent to 1,875 million bushels presumably in anticipation of a resolution of the trade conflict with China. This figure appears speculative given that negotiations against a deadline of March 1st are still in progress. China ceased imports in July 2018 and this nation is usually responsible for an offtake equivalent to 25 percent of U.S. production. Ending stocks were adjusted down to 910 million bushels. 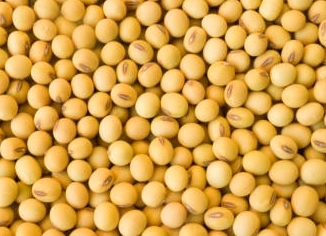 The USDA projection of the ex-farm price for soybeans for the 2019 harvest was narrowed from December 2018 to a range of 810 cents to 910 cents per bushel. At close of trading on February 8 th CME quotations for soybeans for March 2019 and May 2019 delivery were 916 cents and 930 cents per bushel respectively, higher by 0.3 percent compared to midpoint quotations in December. Projected output of soybean meal was increased from the December 2018 WASDE to 49.2 million tons. Domestic use was held at 35.85 million tons. Exports were retained at 13.75 million tons despite an uncertain trade environment. The USDA raised the projection of soybean meal prices over a range of $295 to $335 per ton. At close of trading on February 8th CME quotations for March 2019 and May 2019 deliveries of soybean meal were $307 and $311 respectively. Soybean production was depressed by drought in Brazil (-4.2 percent), Argentine, South Africa and the Ukraine. Mexico and South Africa are expected to import more corn in 2019.